Ferdinand Piech, who spearheaded VW's global expansion, quit his post as chairman in April 2015 after losing a power struggle with then-CEO Martin Winterkorn. FRANKFURT -- Volkswagen Group said it was weighing steps against ex-Chairman Ferdinand Piech after media reports that Piech had accused supervisory board members of inaction after learning of VW's diesel-emissions cheating in the U.S.
"The supervisory board of Volkswagen AG emphatically repudiates the assertions made by Ferdinand Piech as reported recently in the media," VW's supervisory board said in a statement on Wednesday. "The board of management will carefully weigh the possibility of measures and claims against Mr. Piech," it said, adding that VW would not comment on ongoing investigations as a matter of principle. 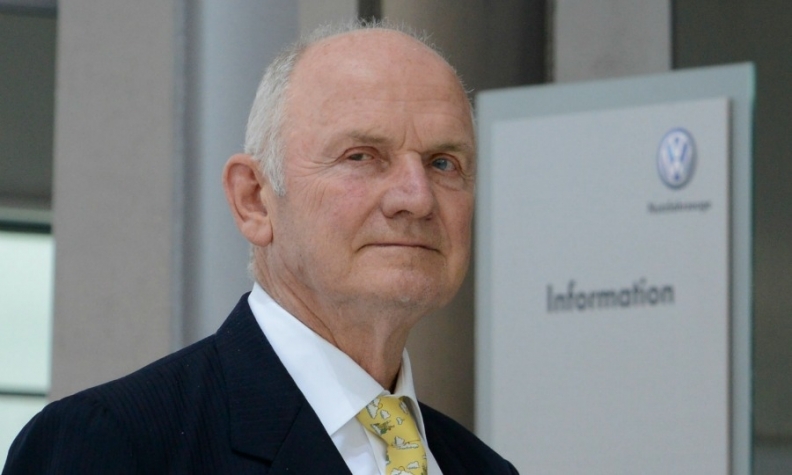 Bild am Sonntag said Piech had raised the issue with then-CEO Martin Winterkorn and members of the supervisory board steering committee in March 2015, six months before the scandal became public, after getting a tip from an Israeli security firm. Winterkorn had assured him that everything was under control, Bild am Sonntag and German weekly magazine Der Spiegel reported. Piech made a similar statement directed against members of the supervisory board in an independent investigation last year by law firm Jones Day, and the allegations were determined to be implausible, the carmaker's supervisory board said in a statement. Germany's Bild newspaper also reported that Piech told prosecutors in Brunswick that after learning about possible cheating on VW's diesel engines in early 2015, he informed Winterkorn and subsequently supervisory board members including: Stephan Weil, prime minister of the German state of Lower Saxony; works council chief Bernd Osterloh; former IG Metall union head Berthold Huber; and Wolfgang Porsche. Volkswagen admitted in September 2015 to having installed software to cheat the emissions tests, causing a collapse in the company's share price, Winterkorn's resignation and tens of billions of euros in fines and legal costs. Piech had said the previous April he was "distancing himself" from Winterkorn, without elaborating, sparking a showdown that saw senior VW figures rallying around Winterkorn and forcing Piech to step down.